Many are lead to believe that skincare is not needed until "later in life". On the contrary; when we begin a proper skincare routine, this protects our skin from needing so much "help", down the road. As the seasons change, so does our skins tone and texture (no matter what our age). Implementing a daily skincare routine is a great way to make sure our skin is getting the attention it deserves. When we hear the word "routine", many of us start to panic and wonder how much time it will take up and how we will be able to fit it into our busy schedules. The good news is, Avon has easy skincare routines fit for every lifestyle and every need. Choose your "problem" area(s) and mix and match products to make a personalized routine, or check out some of the great pre-made lineups that Avon has to offer! Whether you have 2 minutes or 20 minutes, invest the time you want and use the products that are best suited for your skincare needs. 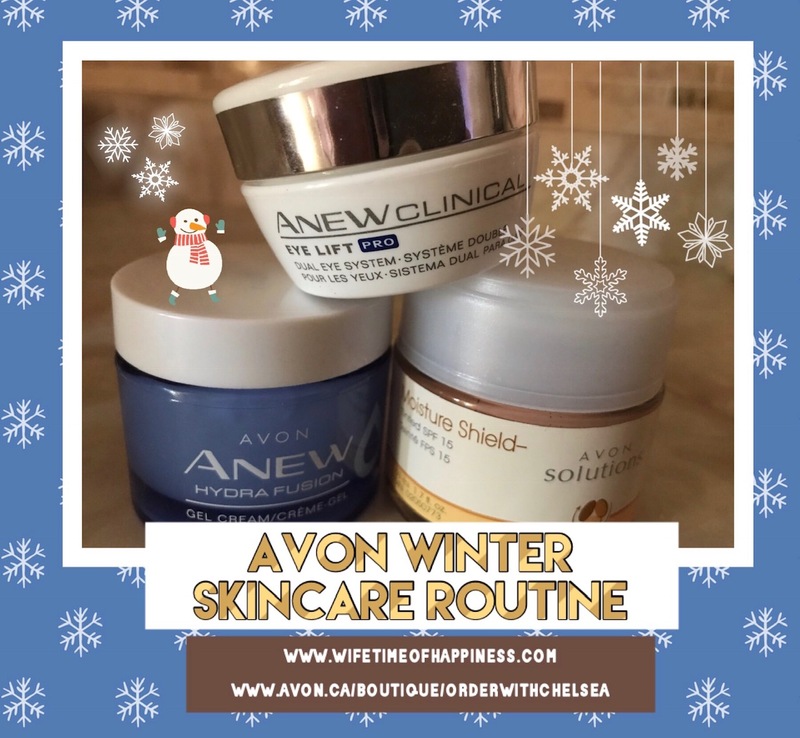 For festive reasons I used Avons Christmas Buttercream Lip Balm, but recommend a lip balm such as Avon's Sun + SPF 15 or Moisture Therapy Intensive Healing and Repair Lip Balms. We do so many things to keep up a healthy lifestyle such as not smoking, or eating well; why neglect our body's biggest protector? Would you like to shop my avon store or join my avon team? I'd love to have you!